KELOWNA, BC – Anthony?s Subaru Kelowna becomes the Presenting Sponsor of the Apple Triathlon. 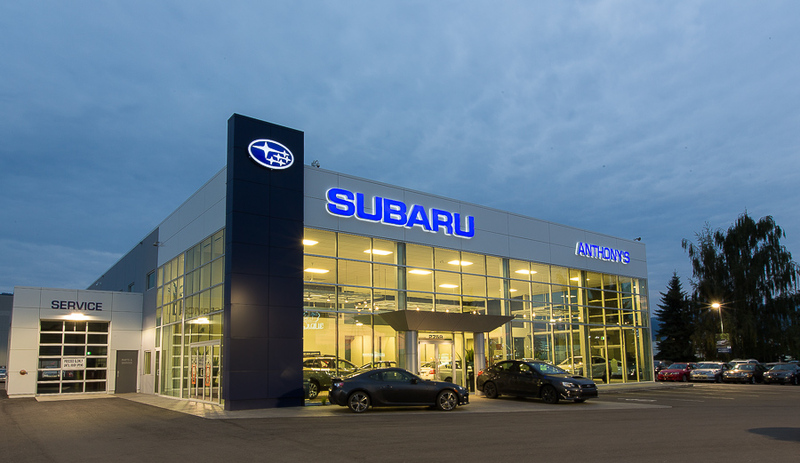 The Kelowna Apple Triathlon Society is pleased to welcome Anthony?s Subaru Kelowna as the presenting sponsor of the 35th Apple Triathlon, to be held August 18-19, 2018. The Apple Triathlon will celebrate its 35thyear by hosting the Triathlon Canada National Championships and the ITU CAMTRI Continental Cup. Athletes from across North, South and Central America will be racing at a new venue situated at the base of Bernard Ave in the heart of Downtown Kelowna. Anthony?s Subaru General Manager Christina Bailey states, ?Triathlon participants appreciate that we are a car brand that excels in sport performance. Our line of Subaru?s are a perfect fit for individuals that appreciate a car that is great for everyday use and for life’s adventures. We are extremely pleased and excited to be a part of this community event.? The Subaru brand has become known for their involvement in triathlons. With a world class backdrop like Kelowna, the stage is set for an incredible participant experience and we are happy to have Anthony?s Subaru join the Apple Triathlon presented by Anthony?s Subaru. The Apple Triathlon presented by Anthony?s Subaru is committed to working with community businesses and groups as the race grows in future years. ?We look forward to having Anthony?s Subaru as our Presenting Sponsor as we value having likeminded partners involved in one of Canada?s most recognized triathlon events,? says Apple Triathlon Race Director Susie Ernsting. In keeping with its triathlon roots, the Apple Triathlon presented by Anthony?s Subaru features a race for everyone, from kids to adults, beginners to elites. For information regarding registration or to sign up to volunteer, please visit appletriathlon.com.